Enjoy a great night of music for a great cause at Any Baby Can’s 40th Anniversary Benefit Concert featuring Shinyribs and Charley Crockett on Friday, May 3! Enter to win a pair of tickets to the show below. Take a journey with singer-songwriter Kristian Matsson, AKA The Tallest Man on Earth, on April 23! Enter to win a pair of tickets to the show below, then get all the details about his new album I Love You. It’s a Fever Dream. out on April 19 here. 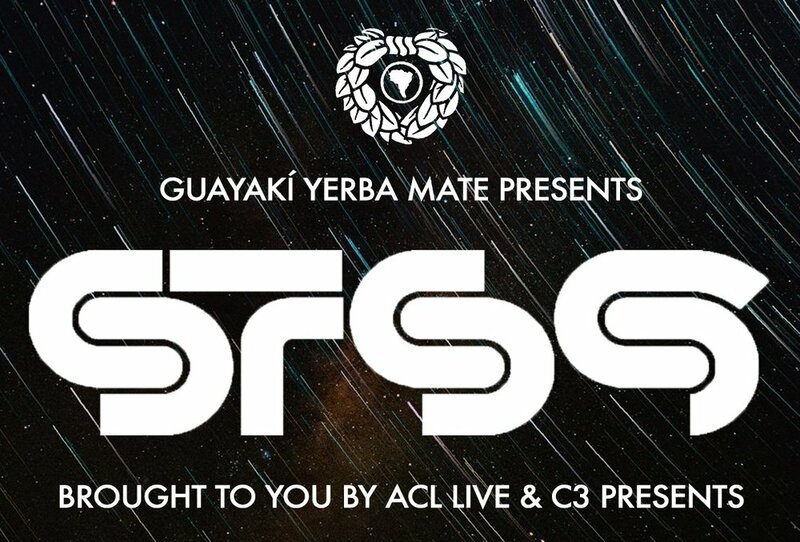 Unleash the "universe inside" at STS9 on Friday, April 12 and Saturday, April 13! Enter to win tickets below. “Let the drummer kick” on April 7 at Citizen Cope: Heroin and Helicopters Tour! Enter to win a pair of tickets to the show below. “Dance the night away” at The Mavericks sold out show on Friday, April 5! The Pachanga Latino Music Series is supported by Univision, Whataburger, and Jack Daniel's Tennessee Whiskey. Have your soul rocked by Amos Lee on March 22-23! Enter to win a pair of tickets to the show and a vinyl copy of his new album, My New Moon, below. Let the funk in your soul OUT at Trombone Shorty & Orleans Avenue on Friday, May 10! Enter to win a pair of tickets to the show below. March 17 will be “a good day” for everyone in our theater because they’ll be in the presence of one of the most accomplished artists of all time, Ice Cube! Enter for your chance to win a pair of tickets to the show below. From his hit television series “The Carbonaro Effect” on truTV, magician Michael Carbonaro brings his signature blend of bizarre antics, audience interaction, hilarious video clips, and mind-blowing magic, live to our stage on Saturday, March 16! Enter to win a pair of tickets to the show below. Step into a "boogie wonderland" with Earth, Wind & Fire on March 12! Enter to win a pair of tickets to the show below. Sing "songs about Texas" along with the man who knows them all, Pat Green, on Friday, February 15! Enter to win a pair of tickets to the show below. Tracyanne Campbell (Camera Obscura) and Danny Coughlan (Crybaby) have teamed up for a new collaborative project, Tracyanne & Danny! Enter to win a pair of tickets to their show at 3TEN ACL Live on Friday, February 8 plus a limited edition red vinyl copy of their debut album below. Enjoy a sultry evening of old Hollywood style mixed with one of Austin’s most loved musicians. Enter below to win a pair of tickets to Bob Schneider & the Moonlight Orchestra ft. The Tosca Strings with special guests Lex Land and Carolina Story on February 14. "Be where the people are" on Friday, February 1 at Disney's DCappella! Enter to win a family four pack of tickets to the show below. Celebrate three decades of music at Big Head Todd and the Monsters with The Main Squeeze on Friday, February 8! Enter to win a pair of tickets to the show below. Don't miss your chance to dance and hear all your favorites at Pachanga Presents Los Lonely Boys + Los Lobos with special guest Lisa Morales on Friday, January 25! Enter below for your chance to win our Pachanga Latino Music Series Grand Prize which includes: a pair premium seats at Los Lonely Boys + Los Lobos and a Jack Daniel's swag pack. The Pachanga Latino Music Series is supported by Univision and Jack Daniel's Tennessee Whiskey. Be part of America’s favorite holiday tradition for over 30 years, Mannheim Steamroller, on December 27th. Enter to win a pair of tickets to the show below! 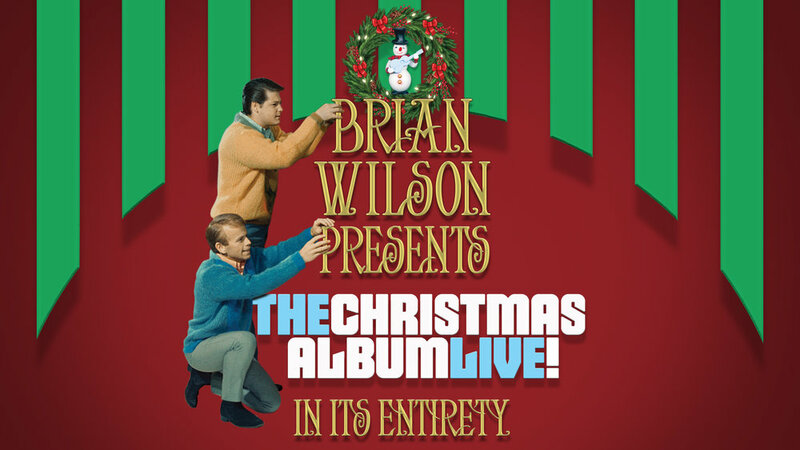 Sing "merry Christmas baby" along with the legend himself, Brian Wilson, this Saturday, December 15! Enter for your last chance to win a pair of tickets to the show below. Have yourself a merry little Christmas at The Bless Foundation presents the 2018 Light the World Annual Christmas Concert and Storytelling Benefit featuring Amy Grant on December 9! Enter to win a family four pack of tickets to the show below! Enjoy a fusion of the traditional holiday spirit with the color, and the traditions, of Mexican and American Christmas songs and carols at A Merry-Achi Christmas with Mariachi Sol de México de Jóse Hernàndez on Friday, December 21! Enter below for your chance to win our Pachanga Latino Music Series Grand Prize which includes: a pair premium seats at A Merry-Achi Christmas, a year of Whataburger + Whataburger prizing, and a Jack Daniel's swag pack. The Pachanga Latino Music Series is presented by AT&T and supported by Univision, Jack Daniel's Tennessee Whiskey, and Whataburger.